The holidays are a very exciting time to gather with family and friends, everyone knows that. But does everyone know how to make the holidays safe and enjoyable for our pets? Lincoln Property Company wants to make sure your pets have as happy a holiday season as you do, so we asked for some tips from KC Theisen, Director of Pet Care Issues at The Humane Society of the United States. Some dogs were born to travel: they love car rides, don’t get carsick, and adapt quickly to the chaos of a new place to stay. 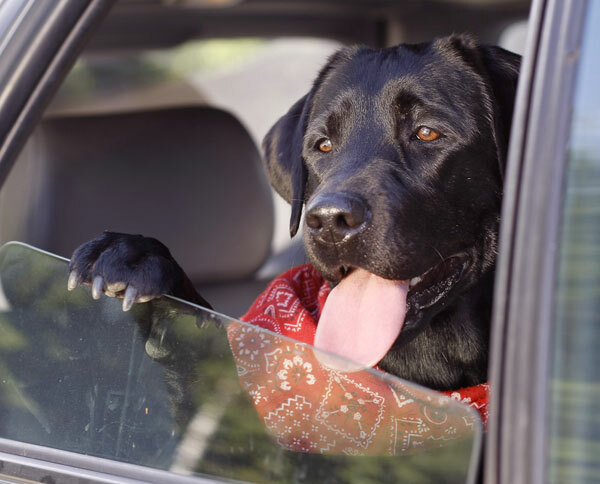 If your pet is a Road Warrior, there are some steps to take to ensure things go well. “The single most important thing to do to protect your pets,” says Theisen, “Is to be sure they are wearing a collar and current ID tags, and that their microchip information is up to date.” If you haven’t contacted your microchip company with an update since you moved to our community, take time to make the change before you hit the road. Also, tape your cell phone number, or the number of where you’re staying, on your pet’s collar. That way if you are accidentally separated, anyone who finds your pet can contact you immediately. A lost pet will take all the fun out of the holiday season. The HSUS has great tips at their website for traveling with your pet, and planning the trip in advance so you know what to take. Don’t forget to make sure your pets are invited to where you’re staying! It’s one thing to go home to Mom’s, but another if you’re visiting your sibling’s new in-laws and making first impressions. Ask about allergies or if anyone is uncomfortable with pets. What if your furry friends are staying behind? “It’s OK to leave your pets with a caretaker, or hire a pet sitter while you’re gone,” says Theisen. “In fact, there are lots of pets: cats, senior pets, and shy or nervous personalities, who don’t do well traveling and will probably be happier at home or at the pet spa for the weekend.” The Humane Society of the United States has some great tips for finding a pet sitter or choosing a boarding kennel, depending on your needs. If you are leaving your pets on the property in the care of a sitter, please let the front office know, and leave contact numbers for them, and for you at your destination, in case of emergency. Let’s admit it: spending some extra time and (lots of) money on our pets during the holidays can be great fun. Pets are family at Lincoln Property Company, and we hope you will share your holiday pictures and stories with us!